It has been quite some time since I talked to you guys and girls directly. Because I don’t have a lot of time this weekend, I thought this is a perfect time to give you guys and girls some updates about the future of my blog. First of all, I plan to kind of return to YouTube. Kind of. I plan to use my YouTube channel to post glitches and oddities in games. Secondly, I’m truly sorry for the lack of articles this month. I have been really busy with my personal life and my job. I work in education and in June, it’s always crazy busy. It’s the end of a school year so yeah. Also, I had to study for my exam in evening school, which I passed! Also, I did a play together with my acting club and it was so good, some schools asked if we did school plays. Besides that, I have been distracted by some new games and the EK in France. Tonight I’m going to support my national team… The Red Devils! This weekend also had a party of my acting group and big garage sale. I will post a loot picture on my Twitter account really soon. Also, I’m working on a review of a Wii game named Kirby Epic Yarn. But I’m replaying the game a bit. That’s because I haven’t played the game in a while and that wouldn’t make for a fair review. The 2nd article I’m working on is a first impression of a PC game I bought at the start of this month. It will be out in July. That one is for Mirror’s Edge Catalyst. So, I hope you can forgive me for not writing but I have been playing a lot of games to have future reviews. 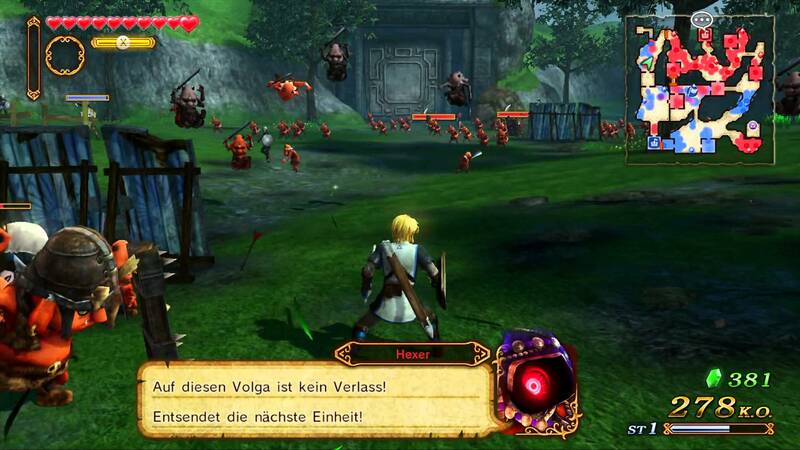 Games like Kirby Planet Robobot, Evoland II, Fire Emblem Awakening and others. Besides that, I have been pretty hyped for a few releases in the near future. Like the new Zero Escape game releasing next week! Oh, and I have a little announcement to make. Since this month was really low on articles. I’ll try to get more articles out next month. I have a two-week vacation there. (Last week of July and first week of August) and I’m planning something really special there. In any case, my schedule should be freeing up next week. So, I’ll be back then. If you have any requests of games and/or topics you want to hear me about… Feel free to leave a comment on this article. If you want to hear the latest updates on my blog and me, follow me on Twitter at @NekoJonez. Thanks for reading this article and I hope to be able to welcome you next week with a new article. Have a great rest of your day and game on~! This entry was posted in Articles, Personal and tagged 001, arpegi, blog, jea, Jonez, jonez001, jonezjea, log, neko, NekoJonez, twitter, update, YouTube on June 26, 2016 by NekoJonez. NekoJonez: Nintendo MiiPlaza v3.0: What I want to see. Oh wow, it has been a long time since this Neko created an article for this blog first instead of the other way around. Well, I hope that might improve my fanbase… Jonez, what were you thinking? The idea of this joke in the introduction how it’s good but not good enough and then compare it to StreetPass MiiPlaza isn’t going to work this way. Yeah, let’s just explain to the people that I wanted to write an article about the changes I want to see if they ever would make a major update to StreetPass MiiPlaza. And as tradition, invite them to leave a comment with their thoughts on what they think about the article or what they want to see changed. If this was possible, that would be mindblowing. Just think about it, there are a bunch of families where the 3DS is owned by more then one child. They have to share their 3DS with their brother or sister. And then different accounts for them they could switch between would be an amazing feature. Granted, it would be a pain to integrate. This might even mean that the whole 3DS system would need a major rewrite where every account will need a ton of set-up. That would be a major downside of the feature. I’m going to think out loud here and there in this article so, see this article as a sort brainstorm I did and one I’m expanding while writing this article. This is one they should DO without thinking actually. Some menu’s of the MiiPlaza are just bad. Let’s start with the music menu. You should be able to easily access the menu by mini-game. Not having them all dumped into one list under each other. Good luck finding your song then. For the hats menu, you should be able to search them. Or at least, put them by category. Sometimes looking for a hat is such a pain and it takes too much time to find one back. 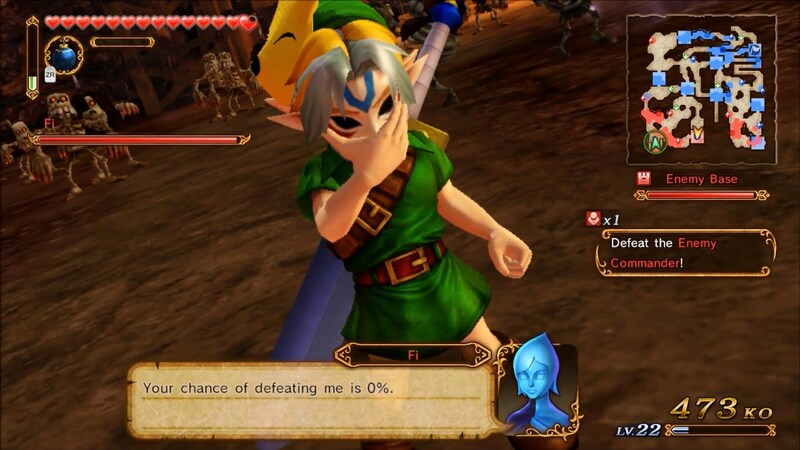 Also, I think this is a valid remark but Nintendo, tell me why the firmwire updates are protected with the pin code and the update to MiiPlaza isn’t? Isn’t that a big gap in the consistency of your firmwire? Please improve the menu’s Nintendo, they are working on my nerves, big time. My biggest frustration is how you can barely sort the Mii’s on your plaza itself. And if you can, that feature is quite hidden. This will be a short one but to my honest opinion, I like the idea that the music changes when you have a certain number in your Plaza. Although, why isn’t it possible yet to change the music of the main plaza back to a previous version or the music you unlocked in the jukebox? That would be amazing. Maybe a possibility to have the music that is on the SD card? Yeah, why not? Since hearing that same music over and over again might get a bit tiresome. On the other hand, it’s the OST to the game, so it might get lost and that’s no big fun to the creator of the music. So scrap the SD idea, and introduce the other idea about selecting the music of the jukebox. And dear Nintendo, please finally learn that music isn’t a sound to indicate that you lost or won a level. A song has a duration of at least a minute. Please put the sound effects in a separate place. Turn the jukebox in a soundtest, why the heck not? To give some nostalgia-gasms to the retro gamers under us. So, in between writing and publishing this article, I put a bit more thought in what I wrote. When I was playing, I had another idea. Why can’t the exchange booth be updated? I mean here that the 4 featured hats change daily. But what if you could lock a hat for some time? When you truly want to have a hat. Also, maybe expand the selection? And make a selection that is always there. But the 4 changing daily should have a price like 1 additional play coin or something. Also, when you have played all mini-games with the Mii’s you met, why are they still following you for a while? If you go to your plaza, they should stop following you. Another idea is that you can check the (past) greetings of a character. I met somebody at my college and we had to find each other by other means on Facebook. That was a true annoyance. Also, maybe some sort of leader board for the general MiiPlaza high scores could be awesome. I understand that you can see the people you passed by are in that list, but wouldn’t it be more awesome to compare your results with those around the world? And please Nintendo, add a way to see the progress of those on your friend list. A game that could really benefit from this is StreetPass Garden. The puzzles are already a great start. It was the main reason why I took my 3DS outside. And here are my idea’s to improve the Puzzle Swap concept. First of all, it could be amazing to kind of bookmark people. When they have pieces of a puzzle you want, you could ask those people to bring their 3DS to class or to the playground daily and that way you could easily complete a puzzle. Did you know, that if you beat StreetPass Quest twice, you unlock StreetPass Quest 2? That’s an amazing surprise. 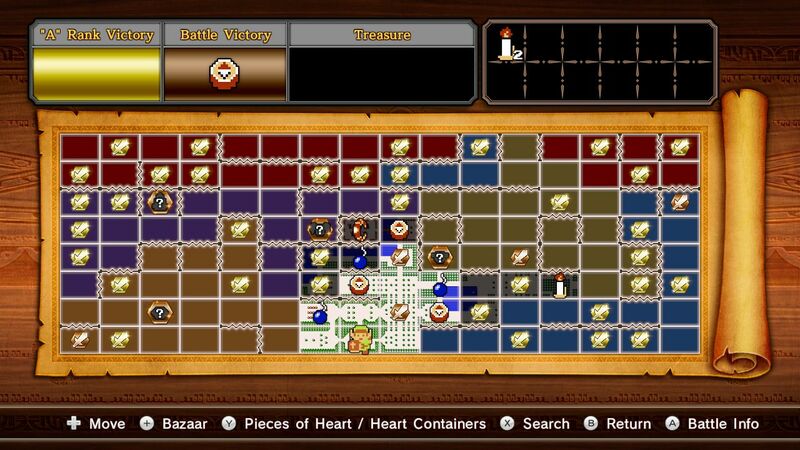 And to be honest, the complaints I had with StreetPass Quest are implemented in StreetPass Quest 2. So, honestly, I have no complaints here. Surprising not? One idea is that you have some sort of “log” where you can check which color does which magic. Could save you some time by looking it up online. Oh yes, I’m calling them the DLC games. And yes, I actually bought them without looking at any screenshots or video’s. I just wanted the complete experience of the MiiPlaza. I’m like that. When I see on Steam that there is a more expensive version with more features, I ALWAYS buy the more expensive version. I want to have everything the developer publishes. So, since not everybody got those additional games, I’m also going to give a short explanation of the game. So, YEAH! More content of the NekoJonez. Ever thought to yourself, this StreetPass Quest is great but what if I could play a shooter with my friends? One, thanks for playing on the 3DS, since most gamers answer that question with a (generic) mainstream shooter that they can play on their computers. And second, that’s this game basically. And I truly enjoy how the color of the Mii changes the weapon that they have. Each Mii you meet is a pod at your ship. You have four spots where you can place a Mii. 3 in front and one in the back. The other Mii’s you can place behind the Mii’s to upgrade their weapon. What’s awesome is that you can rotate the ships so that your projectiles shoot in different directions. Also, this game has so different modes. From protecting crystals to horizontal and vertical shooting. With bosses at the end of every stage. This game is rather fun to play. My first remark is simple. Why can’t you keep playing the game when the pods are still in tact? Isn’t that a bit silly? When beating a level, you see which pods are still in tact. Maybe I have to beat the game once for unlocking that but that is lame honestly. But what’s awesome in this game is that you can see the scores of the people you passed by. And you can see their profile. Sweet going there. Also, the more missions you beat, the more titles you can give yourself at your profile. The other remark I have with this game is that you should add the name of the stages in the ranking. That’s my remark short and sweet. And my final remark is that they should add a sort of syncing. When somebody that you passed has beaten his or her high score, it should update your list with the touch of a button instead of having to pass by them again. Yes, StreetPass Garden is exactly what it sounds, you have a garden that you can show (off) at your friends. Each Mii that visits your garden waters your plant once. When it’s fully grown, the seeds of your plant and your guest’s plant mix. This way you can gather more plants. It sounds boring at first, while that isn’t true at all. This game is actually playable when you haven’t any hits on MiiPlaza. You don’t get the message: “Pass by people to play this game” BS. And this game has the most depth of them all. You can visit shops, expand and decorate your garden quite a bit. And my remarks for this game are mentioned earlier. Most of them. One major remark is how you can only check out people their garden once they visit you. You should be able to visit their garden as soon as they once visited yours. And with syncing. That could be awesome. Want to conquer the world with your friends? Well, that’s possible in this game! Which is an amazing concept. And it truly is amazing. This game is actually pretty tactical. You have to win battles. While they don’t have a lot of depth, it’s quite easily to loose yourself in them. Since some battles have some special rules that make each battle feel different then the one before. It’s based on the rock-paper-scissors style of battles. So, nothing truly special, but for a StreetPass game, it’s pretty good. My complaints are, well… big. One complaint is how there is almost no difference in the amount of soldiers the people you meet different times bring in then how many soldiers a Mii brings in you met for the first time. That shouldn’t be the case! Also, some battles require you to meet many people, since the amount of soldiers your enemies has are sometimes nearly doubled. A bit lazy in my opinion. Another problem I have with the game is how you can’t give soldiers to others. When you meet a monarch from afar, you can battle them. Which is great, but isn’t perfect. If you could have an option that they get 50 soldiers when they meet you, then it would be perfect! And this is your RPG-ish adventure game. In this game, you explore a haunted mansion for ghosts and treasures. Each Mii you meet, have a puzzle piece that you can place on the board. Your goal is to find the stairs in the room. When you add a green piece to green pieces that are already laying down, then a chest or crystal appears in that room. This is also a game where you can die. I mean here that there is no win/lose thingy. You actually have a health bar. My major problem with this game is that when you hire investigators… The animation takes so long! It’s the longest of all the games and pressing “R” barely speeds the process up like in the other games. This game feels a bit half finished. The game feels like it misses some great features like a list of all enemies and better inventory management. For real, this game has one of the worst inventory systems I have seen. It’s just clunky to use and destroys the fun of the game quite a bit. And the worst part is that it’s possible that somebody has a part you can’t use in the room. Oh yes, then you’re pretty screwed. A hit just went lost. In addition, you have to place your pieces where your character can go to. In a way, I understand why they programmed it like that, but I truly feel like it’s a missed opportunity. You could have build up so many possible combo’s. Anyways, it’s the game I put least of time into. Since it feels a bit broken to me. Or that might just be my opinion. So, I’m finally done with writing this long article. On my twitter I said that this article is around 2500 words, double from my normal article length. First I thought of splitting this article into two. And publish one piece here and the other on my personal blog. After some thought, I decided to leave the article in one piece. Thanks for reading this article and I hope you enjoyed this article. Take it as my way to apologize of reblogging my articles here. This is one of the articles I started writing here. And when I started writing, I kept writing. I started writing this article in my college breaks and finished it on a Tuesday night just before going to bed. So, I’m rather curious what you guys think about my idea’s. And what idea’s you have for Nintendo to improve Mii Plaza. While the chances are extremely small that Nintendo is going to implement these changes, you never know. Maybe one day they might show up in the Mii Plaza. Or they might create some more new amazing content for us to explore. Anyways, this Neko is tired and still has some publishing work to do for this article. I hope to see you another time! This entry was posted in ButtonSmashers and tagged 001, 3DS, an, and, arpegi, battle, blog, bought, buttonsmashers, DLC, force, Garden, how, i, in, jea, Jonez, jonez001, jonezjea, log, long, Mansion, mii, more, neko, Nintendo, plaza, puzzle, review, see, Sqaud, StreetPass, streetquest II, swap, To, unlock, update, want, what on March 20, 2014 by NekoJonez. 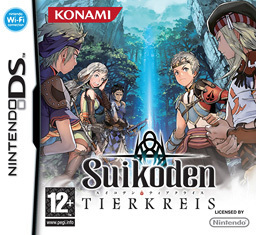 NekoJonez: First Impression: Suikoden Tierkreis (DS) ~ Great Childhood, Bad Adults. Sometimes good stories are written in a book. By simply touching it, you can get involved with the magic that flows through the ink and the pages as simple as the characters get their power in this story. When I was younger and played this game for the first time, I felt the magic of RPG flowing through me. This gem made my love for RPG’s grow. Several years later, I started to replay this game, and man, do I regret giving it a high score on my blog. Now I really start to see the flaws of the game. The parts where this game is pretty much broken in some places. While this game still stays as one of my favorite titles on the DS, this game surely needs some improvement. It’s already determined. It can see all of the future, did you know that? Wow, that didn’t make a lot of sense. Anyhow, I’m nearing the ending of some other games to review and this game will be one where we take a look at it’s ink, and how the world came to live inside the realm of video games. Let’s go and take a look at how a game like this made a tumble in my opinion but still stands strong. But be warned, this is my “first” impression of this game. Feel free to leave me a comment of what you think of this game and/or of this first look. Wait, this blog wasn’t here before. Let’s start with one of the most important things in a game. And if you have read other articles of mine, you know that the story is something I usually start with. And this story is amazing. The characters are deep, the plotlines are amazingly executed and the pacing is amazing. While this game is extremely long, you’ll explore each side character in depth and you’ll get to know all of them better by the end of the story. … A few weird grammar and spelling mistakes. When you are running away from a battle, you get the message: “It feld successfully.” Wait, did the monster just ran? Or did they party ran? And some parts of the writing don’t feel like proper English at all. Which is a big shame since the writing of the characters is amazing. Some plot twists you can see coming but the fact that you can predict it while you get other things thrown at you is such a blast. Weird, no? The story is about you getting magical powers and places appearing out of nowhere. Nobody believes your claim that these places came out of nowhere. And to make matters worse, a communism country is trying to take over the world. So you have to deal with them while you try to crack the mystery of the magical powers. It’s such a shame that this game actually made this many mistakes. It’s such a great game. An other flaw of this game is the fact that it’s missing a map. While being in dungeons, you don’t have a map. When you get lost, though luck. You’ll have to find your way out by yourself. To make matters worse, sometimes you can easily skip information of NPC’s. And they won’t repeat it a second time. Thankfully, your current quest can be read again at your base. The gameplay is repetitive. But not in a way that’s bothering actually. Surprisingly there is a lot to do. You can upgrade your gear and buy and sell items. And here is where something painfully comes above water. This RPG’s has barely no sidequests. And the sidequests that are present, you actually don’t do you yourself. You choose the characters who are going to have the fun. In addition to that, I truly hate the glitch that skips cutscenes when you close your DS. Why? Just why? Couldn’t they program in a pause feature or activate the sleep mode after the cutscene was finished? Also, the amount of cutscenes are too few. I wish there more of them. A minor nitpick I have is in the battle system. The automatic attacking system chooses only your basic attack and this is also a drawback. There are a few other bad things about this game I have written down for the day I’ll review this game. So, I don’t have a complete article ripping this game a new a-hole. So, let’s get to the positive. The music of this game is a real great gem. I still enjoy listing to it. When I use to write stories I even used a few tracks as themes for my characters. It inspired me an awful lot. In addition the sound design is extremely well done. Graphically, this game is how a RPG should be. Colorful, detailed and pretty. I have a complaint here but I’ll come back on that in my review. The characters look lively and the humans look realistic. While this is a fantasy story, this game feels like it can happen in real life. This game also controls extremely well. You can choose between the touch screen and the standard d-pad. It’s such a blast. The “Y” button for the menu asks a bit getting used to but it’s not that hard. The icons in the menu’s explain themselves and using it is a breeze. While it could have been made a bit more user-friendly for healing, I don’t think that’s a big complaint. But to end this first impression, I suggest you play this game for yourself and judge it yourself. This game has a lot to offer. When you can ignore it’s shortcomings you will be in for quite a ride which won’t be over in a few weeks. I admit that I needed a few months to beat this RPG in my first run. I think this game might get also a long review at the day I finally finish it. But for now, thanks for reading and I hope to see you in a later review. This entry was posted in Articles, First Impression and tagged 001, action, adventure, arpegi, article, blog, buttonsmashers, ds, first, game, impression, jea, Jonez, jonez001, jonezjez, konami, log, neko, NekoJonez, Nintendo, Roleplaying, RPG, suikoden, tierkreis, underrated on October 3, 2013 by NekoJonez.